Written by Shawn DePasquale. Art by Sherard Jackson. Cover by Zachary Trover. 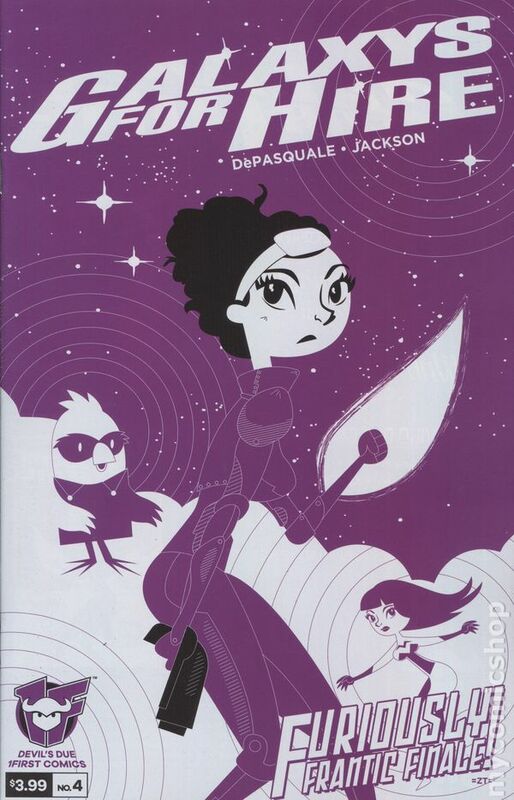 The frenetic first arc comes crashing to its cosmic conclusion as Mallori, Tanna, Dot, Dahlia, and Vernita attempt to end a violent coup and stop the physical manifestations of Good and Evil from colliding in a deep space battle that could unmake reality! A finale that will take your breath away and leave you clamoring for more! 28 pages, full color. Rated T+ Cover price $3.99.